I had a trusty wallet for years and years, and I just loved it to pieces. Unfortunately, it had become quite worn out and it was time for me to replace it. I ended up finding a nice looking wallet (an ALDO Saikawa) on Zappos and placed an order. At the time, I thought it was gonna be a decent replacement. When it arrived, it was so much lovelier than I had expected! 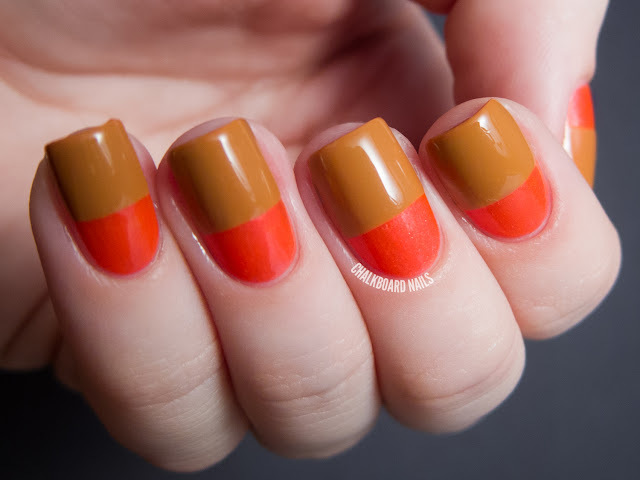 The neon block along the bottom was N-E-O-N and accented the caramel block perfectly. 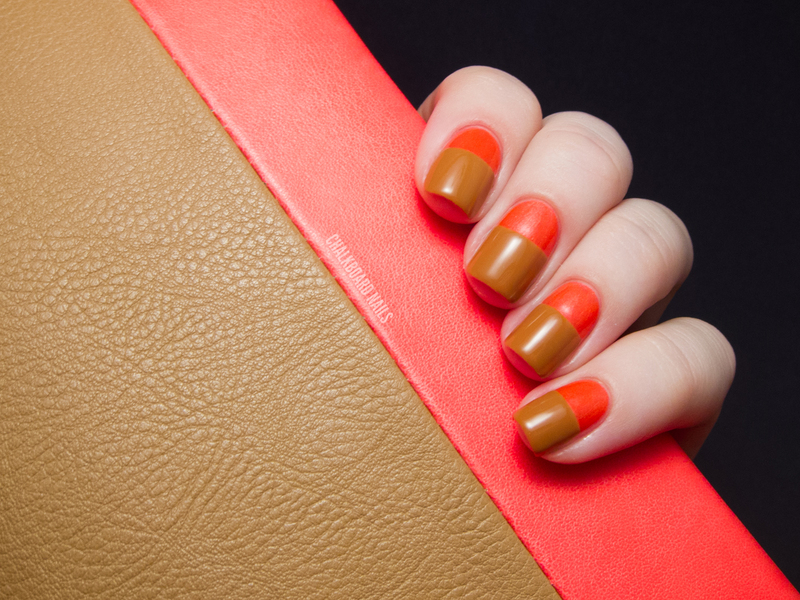 Naturally, I did what I had to do: wallet inspired color blocked nails. I used China Glaze Surfin' For Boys as my neon orange-pink-red. It was almost a perfect match, definitely the closest shade I had in my stash! After it was dry, I taped off part of the base and then added two coats of China Glaze Desert Sun. When I removed the tape, I had a clean crisp line between the colors, and my nails matched my wallet! Pretty darn close if you ask me... I know a lot of people don't like being matchy-matchy in fashion, but to that I say PFFT! 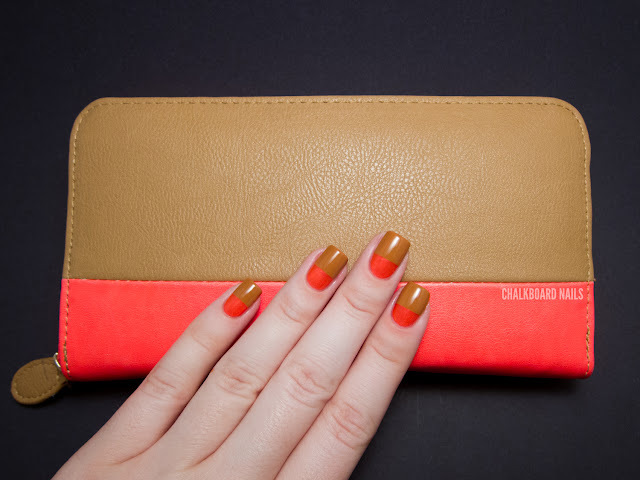 What do you think of my wallet-inspired manicure? Excellent wallet taste! I've been wanting a decent one for ages!! This is super cute, great job! Wow! That color looks like you dipped your fingertips in caramel! Yum. Hehe, the second photo looks like your fingers are peeking over the wallet to say hi. Great colour blocking! Simple and effective. so beautiful! I loved it! I think these are awesome, simple yet effective :) the colours are lovely together. Superb! I absolutely LOVE it!